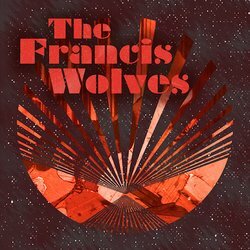 The Francis Wolves are a 7 piece instrumental band from Brisbane, Australia. The self-described heavy soul and rare groove merchants play music influenced by each others record collection featuring afrobeat, soul, late 60s funk, jazz and garage psych. The band started back in 2009 with bassist Brian L'Huillier, drummer Dave Kemp and guitarist Jason Elliott performing under the name Soul Mechanics. It was at this time the band served duties as the house band for the popular Gertie's Bar & Lounge in Brisbane's inner east. With the addition of 4 new members and the occasional guests, the newly formed Francis Wolves left their home at Gertie's and began writing material for a debut album. Their debut double single "Valley Heat / Deep in the Ju Ju" is slated for release in August 2015 with the album following later in the year. Deep in the Ju Ju is all swagger wrapped up in fuzzy 60s soul blanket. This is a players' strut; heavy rhythm section with meaty baritone sax, tasty reverb-soaked keys and dirty mariachi trumpet.